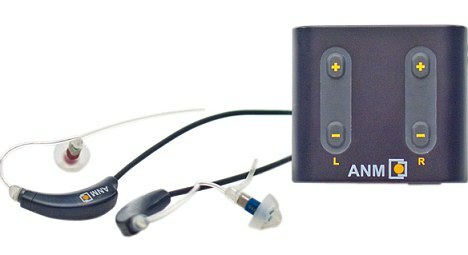 Connected Health » Health Gadgets, Latest News, Research » Could iPod-style gadget cure tinnitus? Could iPod-style gadget cure tinnitus? If you’re one of the thousands suffering from tinnitus this new health gadget will be welcome news. It looks similar to that of an iPod Shuffle and is said to alleviate the chronic ringing experienced by sufferers up to 50%. The Coordinated Reset (CR) device treats the condition by playing sounds tuned to the frequency of the user’s tinnitus and is designed to ‘switch off’ the over-active nerve cells within the hearing area of the brain. Initial tests show that three out of four patients who have tested the device have experienced a reduction in their symptoms for several months. At £4,000, it does come with a hefty price tag. But with around one in seven Britons having suffered from tinnitus at some point it could be worth the investment by medical groups to help those suffering from the condition. And there is no cure for tinnitus, which can lead to sleep deprivation and an inability to concentrate, we’re certain people would welcome this treatment. The German inventor of the Coordinated Reset device, Professor Peter Tass, has published the first evidence of this ‘exploratory’ study in the journal Restorative Neurology & Neuroscience.